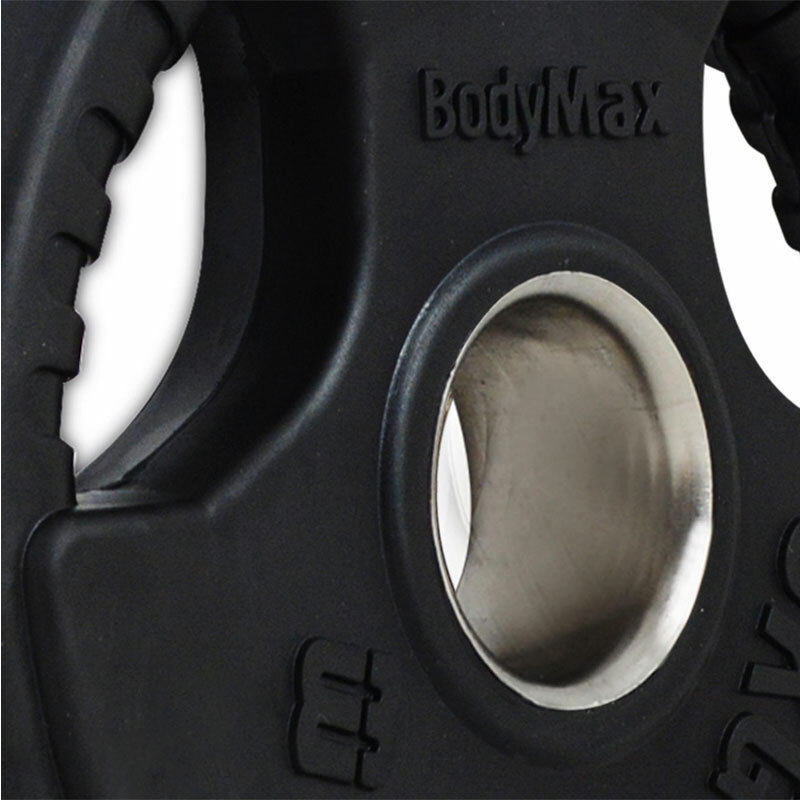 Bodymax Olympic Rubber Radial Grip Plates are designed to make lifting and loading weights onto bars easier. 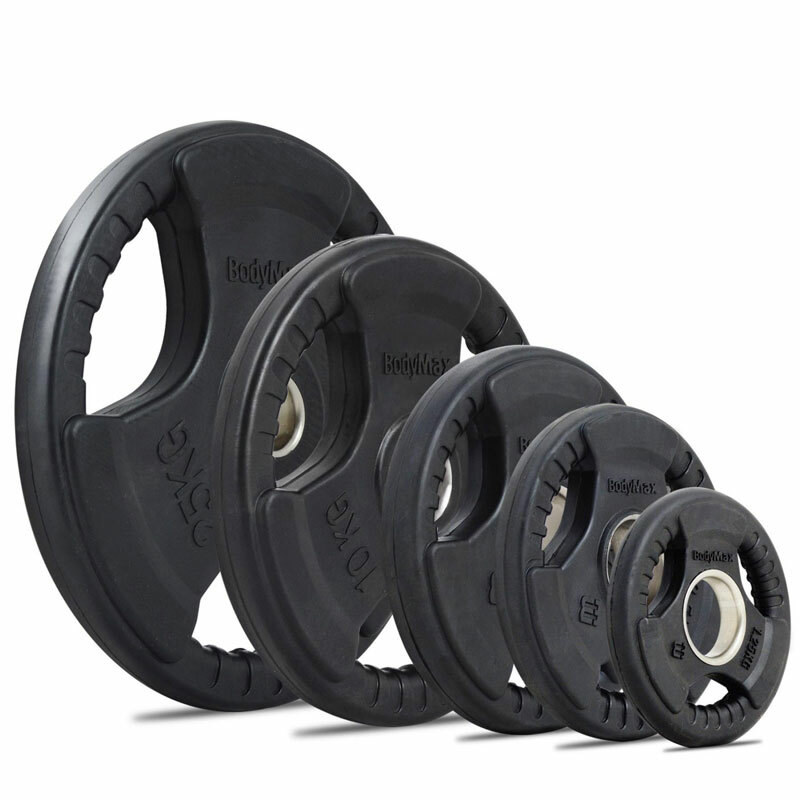 With a rubber finish that makes them more aesthetically appealing than plain or painted cast iron plates. 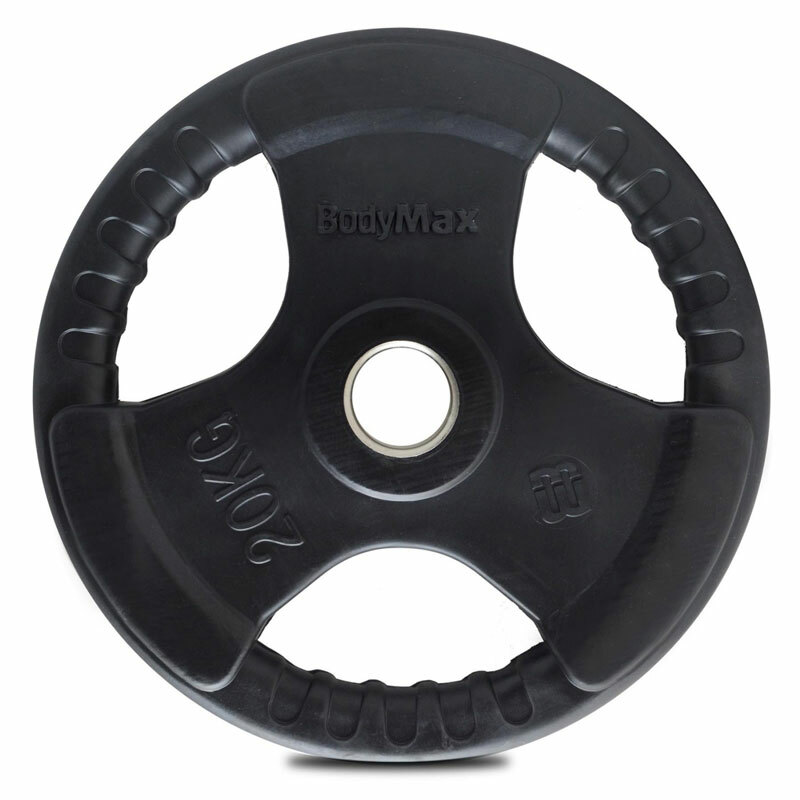 Bodymax Olympic Rubber Radial Weight Plates. The rubber coating also protects against rust. Suitable for use with 50mm olympic bars. These are good plates but the quality [due to production quality standards], can slip on occasion. If the plates are well made, which the majority are; then I think that these are good value for money.